A new working paper from the National Bureau of Economic Research reveals that it might be best to apply for a mortgage when no one else is. The analysis, “The Time-Varying Price of Financial Intermediation in the Mortgage Market” (if you like light reading you should check it out), found that price changes on the secondary mortgage market aren’t fully passed on to consumers if volume is high. The researchers refer to this cost as “intermediation,” which they define as the middleman between the borrower and the purchaser of the loan (the investor), essentially the lender. This intermediary buys the mortgage from the borrower and then sells it to an investor. They provide the principal balance to the borrower and offer a rebate, otherwise known as a lender credit. The rebate can cover closing costs associated with the loan so the borrower doesn’t have to pay them out of pocket. Conversely, the borrower can take less or none of this rebate (or even a negative rebate) and instead go with a lower mortgage rate to save money over time. In any case, there is a rebate associated with each mortgage rate on a mortgage ratesheet that spells out whether the loan will provide the borrower with funds to cover their costs, or instead cost them at closing. What the researchers found out was that mortgage lenders were passing along less of this money to borrowers on days when mortgage applications were high. For example, on the day before QE1 on March 24th, 2008, there were only 35,000 daily mortgage applications, which is historically quite low. As such, there was plenty of capacity to take on new mortgages, and thus when mortgage rates moved lower most of the improved costs were sent along to borrowers. In other words, because volume had been so low, mortgage lenders were more eager to lure in customers, so they passed along more of the rebate to prospective customers. When QE1 was later expanded on March 18, 2009, the number of daily applications went from 60,000 the previous day to 100,000 following the announcement. This time, the pass-through to borrowers was lower because lenders already had their hands full. This also tells us that there are diminishing returns to monetary policy. If the Fed kept trying to stimulate the mortgage market, lenders would have to pump the brakes to ensure they had the capacity to underwrite the loans and do their job. There also just isn’t much incentive to keep lowering prices (rates) if demand is super high. What’s the point if the phone is already ringing off the hook? Lenders also don’t like to bring on more staff for short-lived events, especially if rates rise and demand cools off in a short period of time, which it did on several occasions over the past few years. 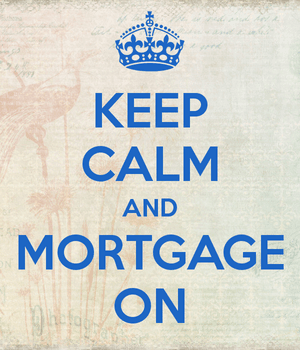 Mortgage rates are highly volatile, and can change from day to day and even daily. Low enough that some lucky homeowners may have received 30-year fixed rates in the 2% range? The researchers also found that the price of intermediation rose steadily from 2009 to 2014, a price increase that amounted to 30 basis points per year. They pinned the rise on a decrease in the valuation of mortgage servicing rights, thanks to higher legal and regulatory costs, and revised capital requirements. This, along with the sensitivity to loan volume, resulted in a total cost of roughly $135 billion to borrowers over that time period. Put another way, when mortgage rates hit record lows, it’s possible they could have been even lower had lenders actually passed on more of the price improvements from the secondary market, which they typically do. Instead, they kept more for themselves, either for profit and/or to address the lower value of mortgage servicing rights. That meant borrowers could have potentially received a 30-year fixed in the high 2% range when rates bottomed, instead of say 3.25%. So maybe, just maybe, you’re better off applying for a mortgage when no one else. Aside from perhaps getting a better deal, you might also receive more attention and close a lot quicker.